Writing music to documentary film. Writing arrangemangs for choir and orchestra. Pedagogue at El Sistema in Södertälje 2012-2018. Choirleader at www.dörren.nu at Mäster Olofsgården in gamla stan, Stockholm. 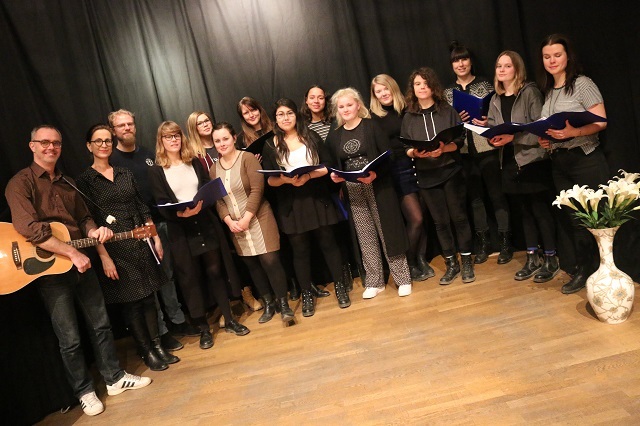 Choirleader together with Maria Peters for the Gränslösa röster voice without borders, started March 2016 rehearsing at Kulturfyren in Stockholm. A choir where refugees asylseekes and etablished swedish could meet. The project "Music Education Project" ended in 2007. Qöhren has existed since 2007 in several different constellations and since 2013 a part of Dörren but always with the participant in first focus and Cecilia Q Öhrwall as a choirleader. We practicing in the old town, in the center of Stockholm every Monday night. Sångföreningen Qöhr working to create a platform where children and young people through collective music creation and prominent bridges national borders, social inequality and cultural differences. We want, with music as tool, develop and spread tolerance and international understanding. It is a choir for young people. No audition for taking part, It s a Co-determination group, they do choose what songs to sing together with choirleader and they do arrange concerts. We are attached to ”Dörren” (the Door) dorren.nu, an association for young people. The Doors purpose is to catch up youth and young adults and give them a chance to realize their creative dreams. They can try singing, do theatre, dans and learn how to take photos, e.g. We have performed at venues in Mäster Olofsgården; old town, Churches in Stockholm, Culture festivals i Stockholm, The Culturehouse of Stockholm. Venues in India; Bangalore school of Music, Vyloppilly Samskrithi Bhavan,Trivandrum and David Hall Art Gallery and Café in Cochin. We sing together in India with the The Coimbatore Music School in Coimbatore, Jyothi Seva School for the blind in Bangalore and in Panjim, with children of Child´s Play, the El Sistema-inspired registered music charity. Luciacelebrating in Gamla Stan, Stockholm with Qöhr. This is from the celebration of Santa Lucia. A tradition in Sweden 13th of December, before Christmas time. This is Outdoors outside The Nobel Museum In the old town of Stockholm. Cecilia Q Öhrwall studied music at the Royal College of Stockholm from 1986-1991, Cecilia Q Öhrwall makes vocal performances and write music to other musical requirements for theater and tv documentaries. She have released several CD´s with her music. From 2012-2018 Cecilia has been teaching choir and flute part-time at Södertälje Culture School's ‘El Sistema’, a project to create meaningful music that not only captures children's attention but serves as a medium to strengthen their self-confidence and grow as responsible world citizens. From 2009 -2012 Cecilia worked for the Brännkyrka Assembly; a Swedish Church where she worked with youth helping them overcome their prejudices through music especially singing. 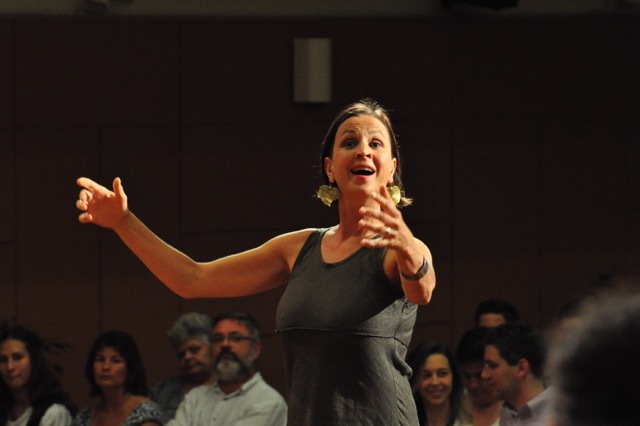 At the end of this project, Cecilia founded ‘Qöhr’, a choir in the age group of 17-25, who use the power of music to bridge social inequality, cultural differences and spread international understanding and tolerance among peoples of all nations. 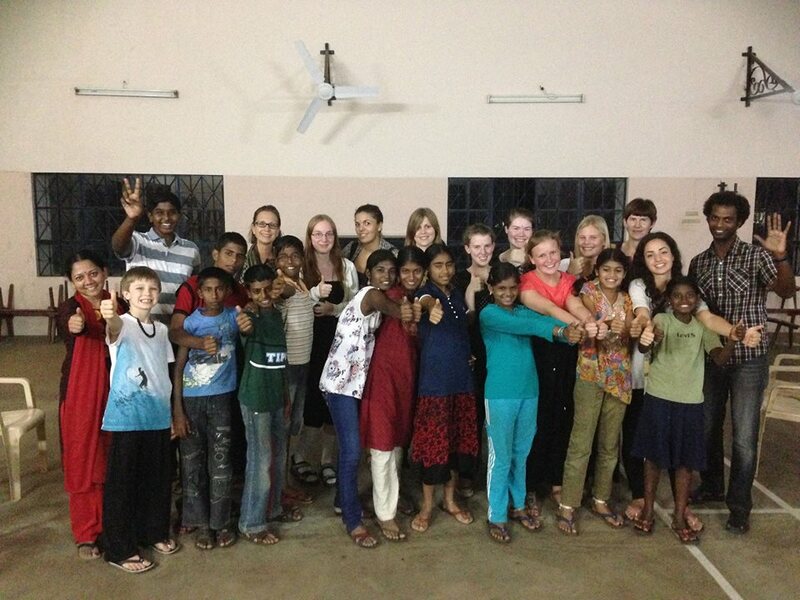 This group has made three trips to music schools across India. Between 2003-2007, Cecilia worked at the Royal Colleague of Music in Stockholm as an educator and project manager of the exchange project ‘Music Education Project’ supported by SIDA and the Royal Colleague of Music in Stockholm, who work to support music schools for youngsters in disadvantaged areas. Through this project, Cecilia has traveled to many school s in South India, teaching and ministering to children through the healing power of music.